Set 3/ Metal Fern Picks For Gypsy Fairy Gardens. 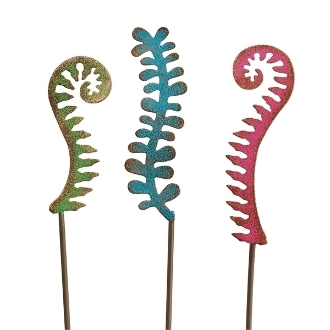 Full Description: Add a pop of color to your mini garden with these multicolor fern picks! Made of metal and features all-weather paint.